Label: WIAIWYA / Fortuna Pop! We posted this on the KPL Tumblr when it first landed. Yet the perennial earworm that is 'Show Us Your Canines' is such a belter that we couldn't resist promoting it to Track of the Week status. Where sometime contemporaries such as Los Campesinos! have abandoned their agit-pop roots for more densely constructed songs, Shrag have stayed true to the cause. From the fidgety intro to the mutant disco chorus, the band keep the outsider fire burning whilst burrowing into our heads with a belting chorus. As if the chanting wasn't enough, Shrag underpin their demand “You've wasted enough time, show us your canines” with keyboards that are at once sweetly out of place and ominously fitting. 'Sho w Us Your Canines' is the best thing we've heard from the band since the wonderfully doomed 'Hoplessly Wasted'. 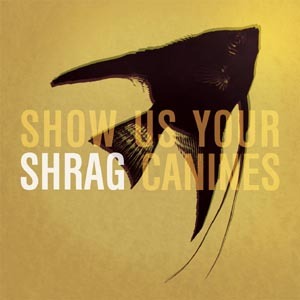 Show Us Your Canines - Shrag from Darren Hayman on Vimeo.